Frankly Amsterdam manufactured over 10 different wallrugs, designed by Claes Iversen for Vondel Hotels. First, the textile-label handtufted the series of wallrugs, after which Iversen’s Amsterdam-based studio finished them by adding handmade embroideries. The project was presented at the textile event “Home Couture” of high-quality interior design store Co van der Horst in Amstelveen on the 21st of June. Next to the standard collection, Frankly Amsterdam offers the possibility of designing your own special rug. 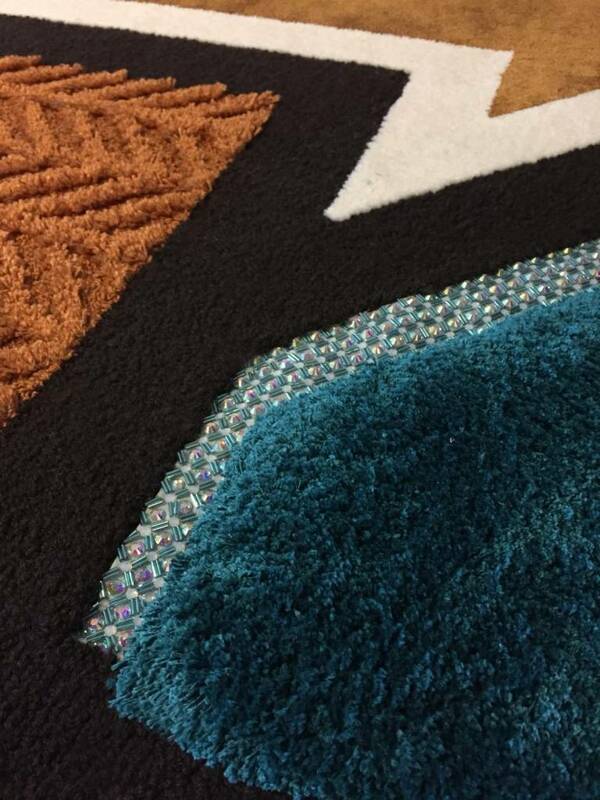 The customer communicates her idea, which the label then develops into a one-of-a-kind, made-to-measure rug. In a brand new company movie, which was also presented at the textile event, Frankly Amsterdam explains how this process works. A good example of this is the series of wallrugs by design of Claes Iversen. This project is one of the many impressive projects that the label was able to add to an evergrowing portfolio. Frankly Amsterdam has already contributed to projects like Hotel the Dylan, A’DAM toren, Hotel Boutique Parc Broekhuizen, and the privet office of Tommy Hilfiger himself on Madison Avenue in New York City. This remarkable fashion designer is the embodiment of modern, luxurious fashion for every occasion. For his Couture collection he gets inspired by special materials and colors in unexpected combinations, resulting in a customized, high-quality collection. With a razer-sharp eye he strives for exceptional quality in every unique piece. In this, too, he finds his link with Frankly Amsterdam. Both brands are charmed by detailed craftsmanship, with a strong focus on high-quality, honest, natural materials that are innovatively and wonderfully applied. He already has many special pieces to his name, which have already been worn by various international style icons. With this collaboration with Frankly Amsterdam, Claes is taking his first step in the interior design industry. The series of wall hangings will be on show in the hotel ‘Mercier’ of Vondel Hotels on the Rozenstraat from September 2018, when the doors are reopened after full restyling. In addition, Claes is already working on a product for the permanent collection of Frankly Amsterdam.